Your kids’ homework, important documents, directions to your friend’s home and so much more, there will always be something you have to print at the very last minute. Fortunately, there are now plenty of reliable, printers to suit just about any need and will help you simplify your life. But you have to remember that not all printers are made the same and choosing one can be challenging, especially when we have to find one small enough to not take up too much space and at the same time without compromising its performance. So if you want to know what is the Best Small Home Printer 2019, that is good value for money, then please keep on reading below. This space-saving monochrome laser printer by Brother has combination capabilities of printing, faxing, scanning and copying. This means you no longer have to jam-pack your small space with separate machines for each task. But what I find very impressive is this printer’s printing speed. It is just amazing! It is able to print up to 36 pages per minute. Take note that most of the laser printers on the market today only have an average of 20 pages per minute. And don’t you just hate it when you have to stand up while you are in the middle doing a task just to keep on refilling the printer’s tray? Well, I’m sure you’d be happy to know that this printer has a 250 sheet paper capacity to help you spend less time refilling the trays. This printer has wireless connectivity, it means you can print from your desktop, laptop or even smartphone through its built-in Wi-Fi. It is easy to set up too. The only assembly you have to do is pulling off a number of tapes that hold the doors and panels closed and then to insert the drum and toner package. Setting up the Wi-Fi is also painless. It is equipped with a 2.7-inch colored touch screen that comes with a numeric keypad as well as a few function buttons that make the printer very easy to control. Overall, your small space will not be the only one thanking you for this Compact Multi-functional Printer, but your pockets will be happy also. Brother HL-2395DW is one of the best quality small laser printers you can buy under $200. It is packed with a lot of impressive features for its price, and is definitely good value for your money. I’m sure you’ve already heard of HP unless you’ve been living under a rock for ages. HP is known for producing high-quality hardware and software components and several other related services. And HP OfficeJet 4650 is no exception! It is a combination of affordable price and several office-centric features that you will not regularly see in other printers within a similar price range. This printer has actually been designed for small homes or home-based offices. It comes in a sleek, rounded with curvy edges design that is ideal for confined spaces. And since it is an all-in-one model, it will serve as your scanner, copier, and fax machine as well. What I like most about this printer is its 2.2-inch Hi-Res Mono touch screen you can see at the panel’s front. This allows you to make different configurations without any difficulty. For instance, you can quickly scale a letter-size page up and turn it into legal-size copies. There’s so much more you can do, quickly and efficiently. 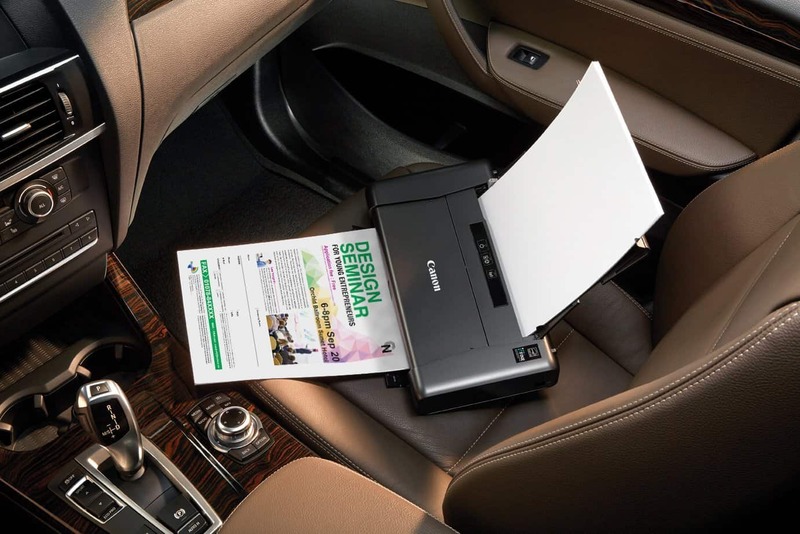 This printer is Wi-Fi enabled, which means you can connect your tablet or smartphone into it and print the files you need to print even if there’s no network. You can also take advantage of the user-friendly HP Smart app which comes with several settings, that can help you control the printer and make the most of its potential. It will give you various printing capabilities through the HP’s ePrint, Google’s Cloud Print, and Apple AirPrint. There’s also a Scan-To-Email feature. This printer can also print 4×6-inch photos within just one minute. This is also a cost-friendly printer, thanks to its Thermal Inkjet Technology which utilizes electricity or thermal energy to heat up the ink and apply it to a medium. 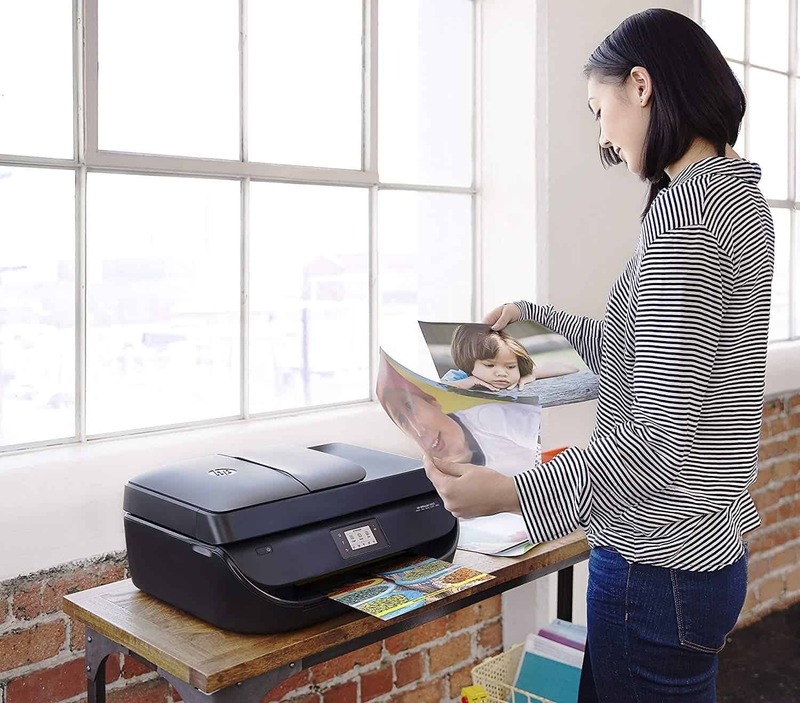 So for a printer with tremendous capabilities, quality and durability without breaking a bank, then you should definitely consider HP OfficeJet 4650. It will absolutely make the job a lot easier, increasing your efficiency like never before. 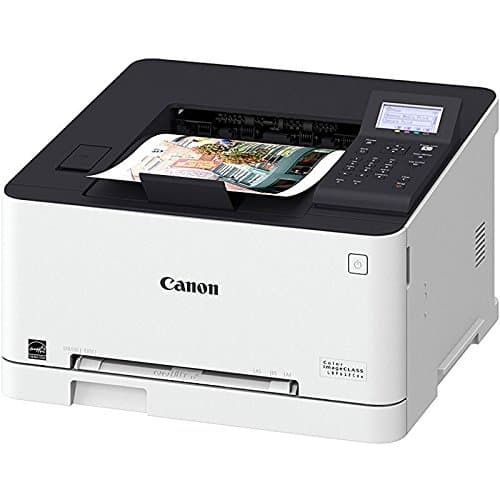 A color laser printer can definitely be a great addition to any small home and the Canon imageCLASS LBP612CDW is one of the best in the market today. It offers an excellent mix of features and print quality, especially when it comes to graphics. The quality of printouts this laser printer can produce is very impressive. The colors of the graphics it prints are well-saturated and it can maintain the ink density in solid backgrounds. So if you find yourself always having the need to print PowerPoint handouts to impress your important client, then this printer is a good bet. It features monochrome LCD and it has been tilted upward so you can easily view it. There’s an alphanumeric keypad on its panel which you can use to set up and enter PINs for password-protected printing. Printing files that come in TIFF, PDF and JPEG formats can be done through a thumb drive. You will see a USB flash drive port on the other side of the output tray. There’s also an abundance of ways to connect to this printer. You can connect your computer to this printer via USB or to a LAN by Wi-Fi or Ethernet. The printer also supports direct printing via peer-to-peer connection through any compatible device over Wi-Fi Direct. It supports various mobile printing applications such as Canon Print Business, Google Cloud Print, and Apple AirPrint. Most of all, Canon imageCLASS LBP612CDW is compact and small enough that it can fit on most desks. Plus, its swept-back appearance is something you can never ignore. This printer is a good entry-level to an all-in-one printer (printer, scanner, copying, and fax) designed for small homes with adequate printing needs. But despite being an entry-level machine, it has a relatively strong set of features. For instance, the printer’s paper handling is composed of a single tray with a 250 sheet paper capacity and a one-off override slot that can be used to print labels, envelopes and other off-size media. It supports basic connectivity types like Wi-Fi, Ethernet and connecting to one PC through the USB port. It also supports mobile connection such as Google Cloud Print, Apple AirPrint, W-Fi Direct as well as Brother’s iPrint&Scan. iPrint&Scan enables you to print from your emails and even connect to certain cloud sites. 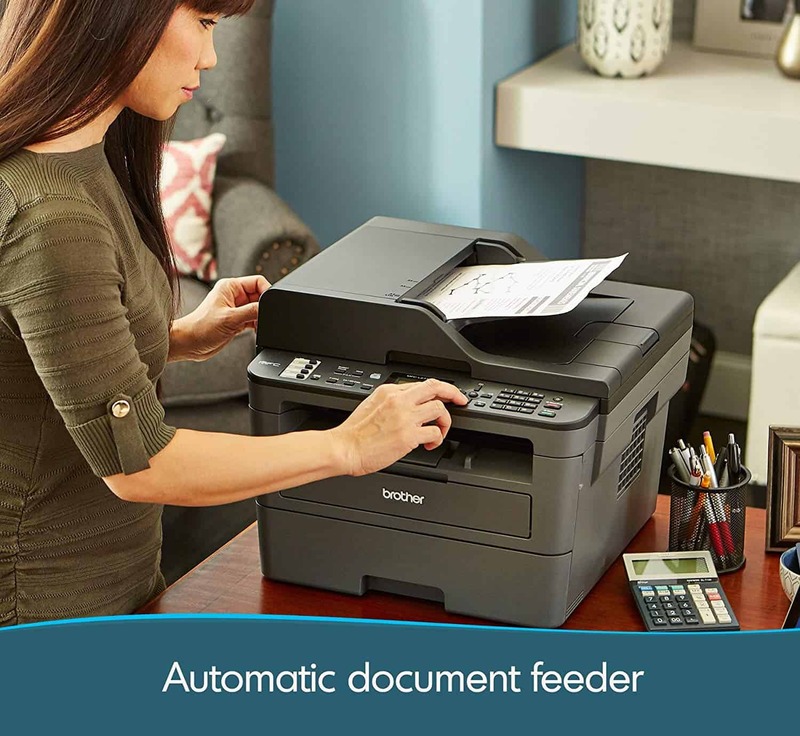 Just like Brother HL-2395DW, it can print as fast as 36 pages per minute. Overall, this Compact Printer is not only space saving but is also well-built and can print well enough, making it a suitable choice for a small home that requires a low volume of printing and copying. This printer is actually smaller than some mobile printers and is very easy and light enough to bring along in your carry-on bag or a backpack. And since it is wireless, you can connect your mobile devices or laptops directly to the printer. Despite its small size, it has a 50-sheet paper capacity and offers the usual speed for a portable inkjet printer. Plus, it produces remarkably good photo quality; it prints glossy, high-resolution images, whether it’s a 4 x 6-inch snapshot or a full 8 x 10-inch picture. This printer supports Wireless PictBridge so you can print from specific Canon digital cameras wirelessly. CanonPrint, Canon’s own patented mobile app, is also available for most smart devices. You can access several helpful features through this app. For example, you can use the app in monitoring the remaining amount of ink in your printer. It runs in two sets of cartridges for its five-ink imaging system, there’s one for pigment black and the other one is a multicolor cartridge Cyan, Magenta, Black and Yellow to print decent document pages and photos. What’s great about this Little Wireless Mobile Printer is that you can finally say goodbye to the tangled web of wires, cutting down mess in your small home and avoiding potential hazards of tripping and electrical fires that may result from too many cables. This printer is so small, it can even fit in your hand – so it will not only save a lot of space at home but will also be highly portable. 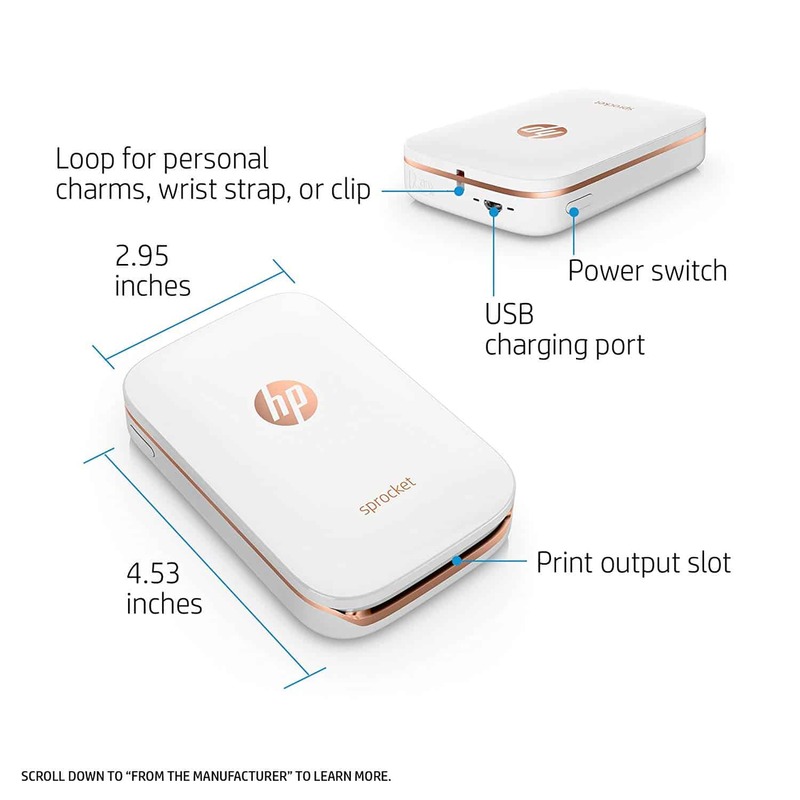 HP Sprocket Photo Printer is just a little over 9 cubic inches and is among the smallest wallet-size photo printers. It really works pretty well as a novelty photo printer and produces good-quality 2×3 snapshots. But what’s interesting is that it uses zero ink, also known as Zinc Technology, creating images through heat-activated photo paper. Isn’t it great that you no longer have to worry about buying ink? It’s very easy to set up especially when there’s no need to load the cartridge. All you have to do is open the tray and then drop in the paper. The printer is a very easy-to-use tool. It comes with an easy-to-follow app that will walk you through the steps of connecting to the printer. You can even sync your social media account for easy access through the app. In this way, you can print instantly from your Facebook, Instagram, etc. Since you can only connect to this printer through a tablet or smartphone via Bluetooth, you no longer have to worry about wires. It prints at an amazing speed. This printer prints photos in an average of about 40 seconds per picture. Though most of our photos today are comfortably inside our smartphones or probably resting in the cloud via online storage sites or social media, wouldn’t it be nice to have a physical photo hanging on your refrigerator or inside a fancy photo album? Well, thanks to the tiny but mighty HP Sprocket Photo Printer, this can now be possible in just a few minutes. If you have limited space or a small home, the first thing you need to check is the dimensions of the printer. See to it that it will fit on your desk and it won’t cram up valuable space. 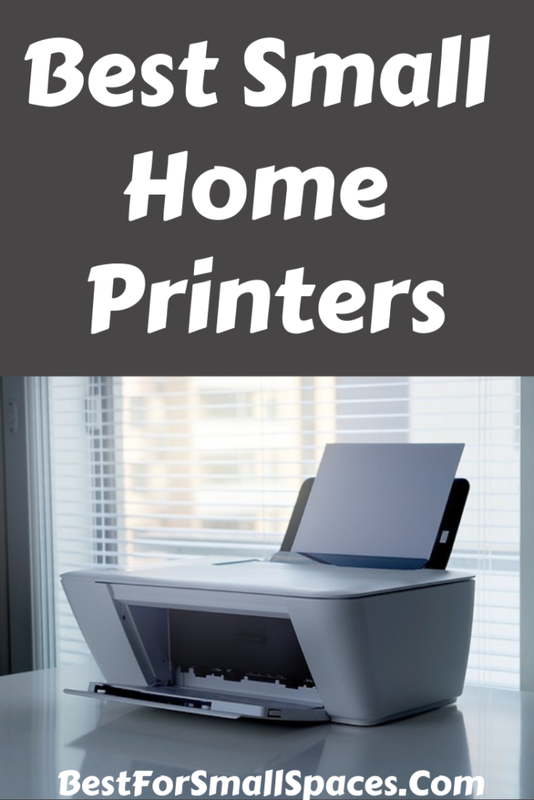 You might also want to invest in an all-in-one printer that combines photocopier and scanner, even sometimes with fax machine so you won’t have to buy separate appliances for every function. You also need to ask yourself what print quality do you expect and what volume of printing you need to produce. 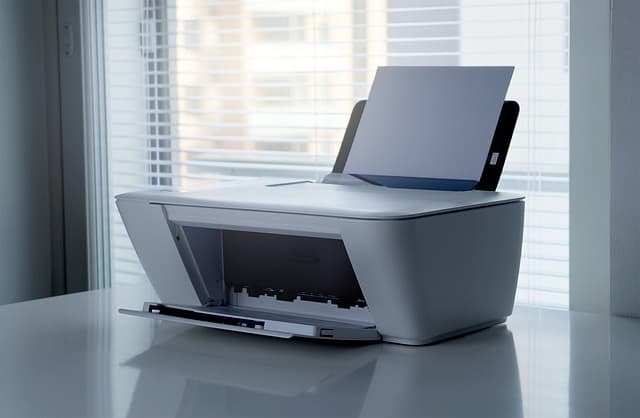 This will help you decide whether you should get an inkjet printer or laser printer. If you’re a student who needs to print a large number of copies of your essays, endless thesis revisions, and several other black-and-white text documents, then you might want to opt for a laser printer; it can produce sharp black-and-white text. However, if you need to print a combination of text, photos, and graphics, you should choose inkjet printers. Unlike laser printers which are not well suited to printing photos, inkjet printers can print just about anything and they mostly print good quality photos. Some inkjets are even capable of making borderless prints and can handle unusual sized papers like 4 x 6-inch snapshots. Think about the volume of paper you want to print too. If you require plenty of printing, you will probably want a faster printer. The advertised speed of a printer is the maximum speed of its machine’s engine and it is measured in pages per minute (PPM). Laser printers, in general, can outperform inkjets when it comes to speed. But if you’re an aspiring photographer and looking forward to printing up your own pictures, opt for a specialist photo printer. Yes, a regular printer is capable of printing a photo onto a paper, but you will never get that glossy look without a photo printer. The photo quality will only be poor because it is not intended to be used for glossy photo stock and other specialty papers. With such limited space, a printer with wireless connectivity will surely be a bonus. This means that you can connect your computer, along with other digital devices like your tablet or mobile phone, to your printer without the messy cables. Another hassle-free connectivity is through Cloud services like Google Drive, Dropbox, OneDrive, etc. There’s also Google Cloudprint and Apple AirPrint that will allow you to print from any web-connected device. PictBridge feature, on the other hand, allows you to connect your printer directly to your digital camera. There are some models that can download your photos straight from the memory card of your camera and print it for you. On the other hand, most modern printers come with an ethernet port so you can connect to a wired network that may be placed away from your work desk, which helps to save a lot more space. Printers have definitely come a long way over the past few years. Those days when buying a printer meant buying a huge, chunky device that has to own a table and all it could only do was print, are finally over. 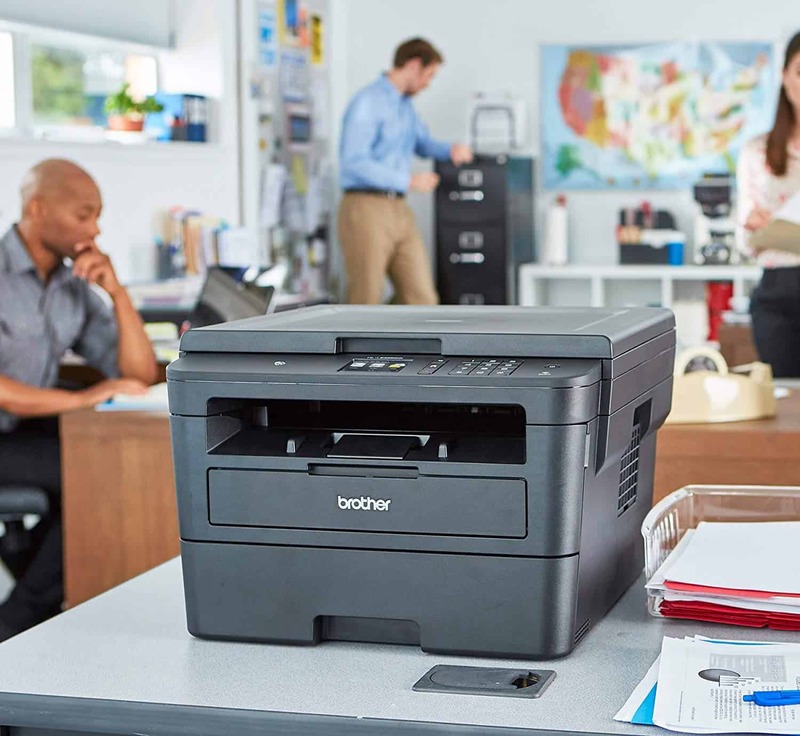 Anyway, I hope this article on the Best Small Home Printer 2019 was able to help you find the best compact printer you can add to your small home and of course, help you with all your printing needs.